Anyway, I have never had an L046 (in fact, I don't think I've seen one in person before) but I am practically dying to own my own my own Zebra Pleco. I have a 75G community tank with 6 Boesmani, 2 German Blue Rams, a baby bristlenose pleco, and a juvenile angelfish. I plan to add a moonlight gourami. I also have a 37G tank with other fish, but I would like to add the Zebra to the 75G. I am very concerned about the mortality rate of these fish, as apparently many Zebras are difficult to feed as juveniles, especially with other active fish. The rainbows are very active, but never eat anything off the substrate (I don't think they can because of their upturned mouths). The other fish are very mellow. Do you think I would be able to sustain a Zebra? The tank is planted. I have a variety of hiding spots and I would be happy to add more. Re: Eager to own my first Zebra!!! Zebras are not all that hard to keep as long as one understands a few facts. You are right they do not compete well with aggressive eaters which can be a problem. Next, the are a nocturnal fish that is happiest when hiding. In fact there is a saying: "A happy zebra is a hiding zebra." When one sees a zebra out in the open and staying there, it is a sure sign something is wrong. So in a 75 gal. tank you might never see a zebra. I have a 33 gal. zebra breeding tank. Years back it had 13 adults and about 55 assorted offspring in it. People used to ask me why the tank was empty. Next, zebras come from, very clean waters with little organic content. They will either live somewhat deep or else in very fast flowing shallower locations. It is usually the younger fish which one sees in the shallowest water. But the water in the Xingu is also quite warm. Zebras can easily handle temps of 90F. Most people keep them at at least a 78F and most keep them warmer. My tanks tend to bee 82-86 for most of my Xingu Hypancistrus. Zebras basically need warm well oxygenated water. 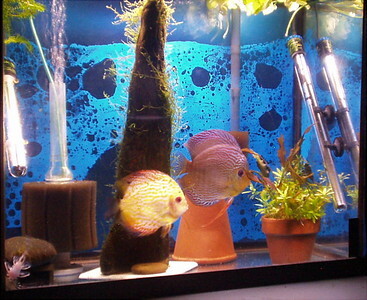 Many people prefer to keep zebras in a species tank since in the wild there are no small fish like tetras etc. in those locations. The live where there is fast or hard current although they do require this. in the wild the rapids in their range provide the needed high oxygen content. 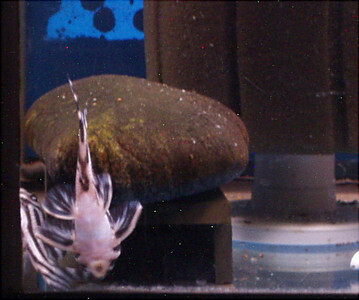 For example, if you truly have a pair of rams, they are substrate/rock spawners and if they spawn you could have issues with a zebra. Rams are good parents and will defend their young. They also prefer slower flow. The Boesemani will do fine in water that zebras will tolerate, they are both truly tropical fish. But the rams would prefer to be on the cool end of that range and lower. The moonlight will eat any small fish that can fit into its mouth and will grow to about 6 inches. It is also likes plants, an open area in which to swim and slow flow. The bristlenose will get much bigger than the zebra over time but they both play in the similar places. So be sure to have several caves spread apart for the plecos. The biggest difference is in their diets. Zebras eat minimal veggies and algae once older, but britsles will eat them all the time but will also eat the meaty things the zebra prefers. Also, bristlenose will not like warmer temps the boesemani and zebra do. The only time I had to put zebras into a non-species tank, I parked them in a discus tank. Oxygenation was good as was the temperature, but the flow was not very strong as discus (and angels) do not do well when they are perpendicular to flow- they are like big sails in the wind.